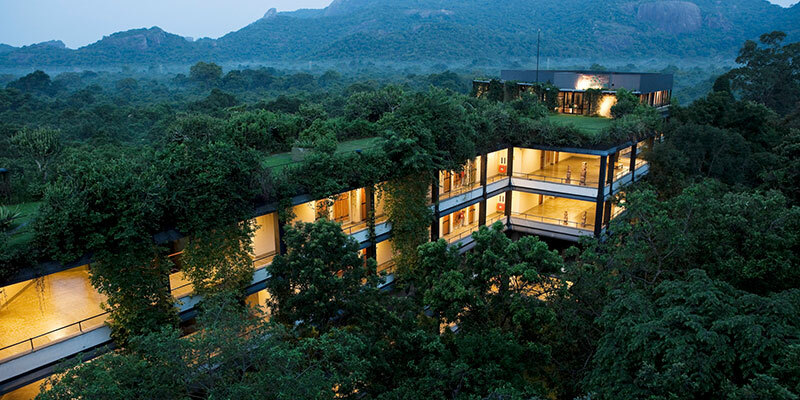 A superior Dambulla hotel in Sri Lanka, Heritance Kandalama is set to pamper the global traveller. 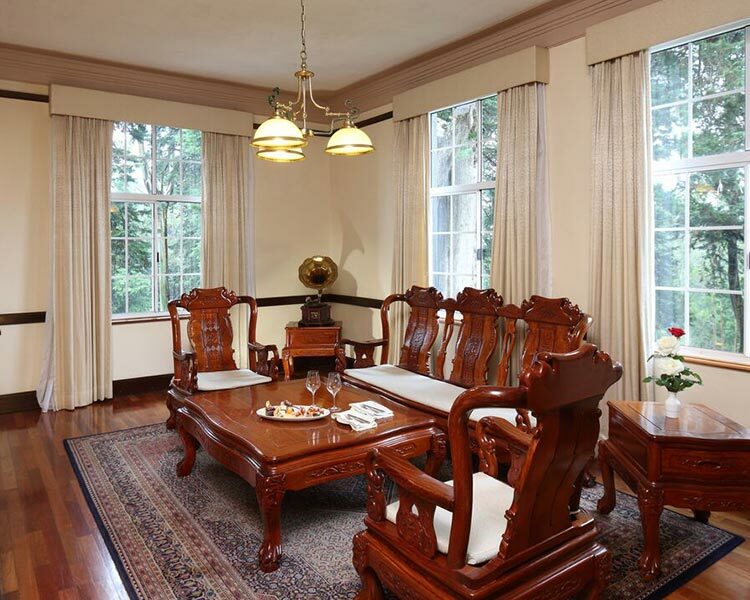 Enrobed by the lush greenery of Kandalama, the hotel is a spectacular treat for visitors. Conveniently positioned 20 minutes from the Dambulla Cave Temple, Heritance Kandalama boasts of an advantageous location. 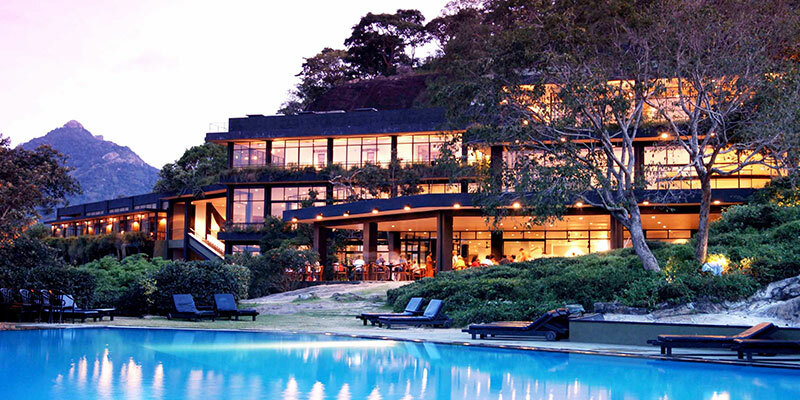 Preserving a choice of accommodations, Heritance Kandalama is set to pamper the selected traveller. The hotel maintains over 50 superior rooms, suitable for the solitary or the travelling duo to take refuge in. Complete with modern furnishings and a balcony, the room is cosy option for guests. 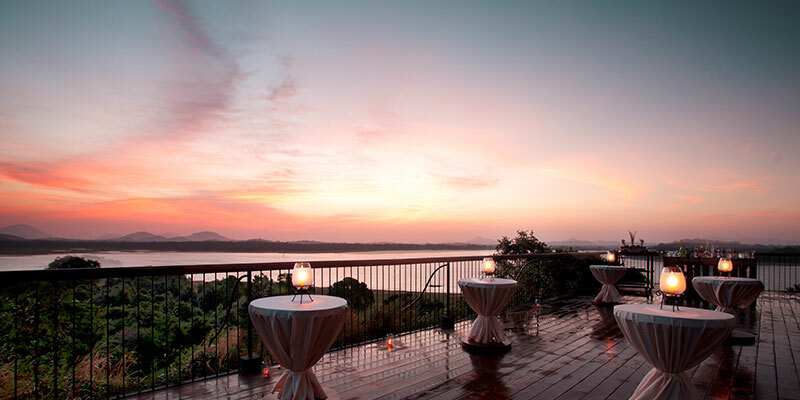 Overlooking the Dambulla Lake or the Dambulla Rock, the Panoramic Rooms provide for a scenic stay. An idyllic room for the visiting couple, the interior of the twenty-two Panoramic Rooms of the hotel is similar in style for Superior Room. Found in the Sigiriya Wing, the Luxury Room is an opulent space. Furnished with images of the great rock fortress, and a plush bathroom with a rain shower the and a bath tub, the room is for holidaymakers seeking rest and relaxation. Artfully merging itself amidst the forestry of the region, the Luxury Panoramic Rooms are for the nature loving wanderer. Featuring the largest balconies in the hotel, the stylish lodgings are only three in number. 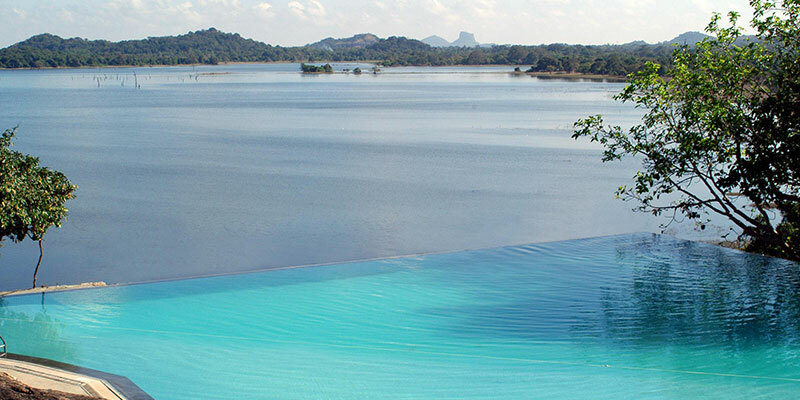 Guests here can relish an uninterrupted view of the sparkling waters of the Kandalama Tank. 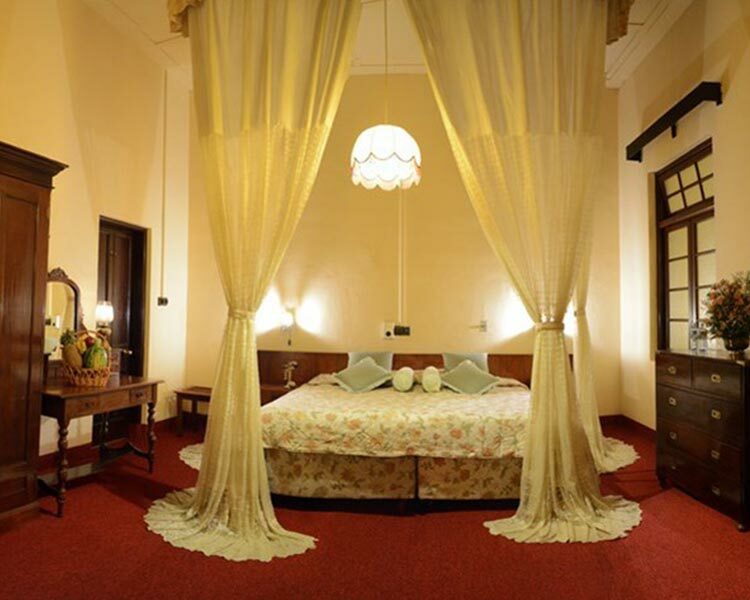 The Deluxe Rooms are equipped with a wooden furniture, parquet flooring and more importantly a jacuzzi. A delightful experience for guests, the Jacuzzi overlooks the scenery of the region. Catering to the honeymooning couple, the suites at the Heritance Kandalama provide for an intimate getaway. Fortified with two balconies, a jacuzzi and a rain shower, the Suite is a dream accommodation. the travelling family seeking for private getaway should look no further than the Luxury Suite. Finished with a private balcony, a living room, a jacuzzi and more the suite is a superior chalet. Keeping in mind the needs of the VIP Guest, the Royal Suite is an elegantly laid out spacious apartment. An accommodation fit for royalty, the suit encompasses the vast area of two suites merged. Enhancing its exclusive image is the 24-hour butler service that is available for guests of the Royal Suite. Dining is a grand affair at Heritance Kandalama. A view to remember, the Kanchana Restaurant is located on the 6th floor. Serving breakfast, lunch and dinner, food is a magical affair at this altitude. 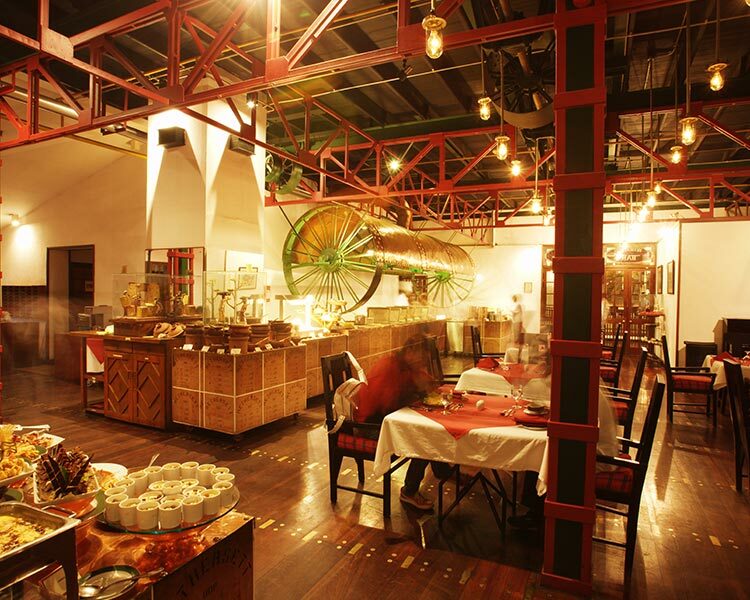 Food from around the world including Paella from Spain, Middle Eastern Influenced Mutton Korma and more can be found at the swanky Kaludiya Restaurant. 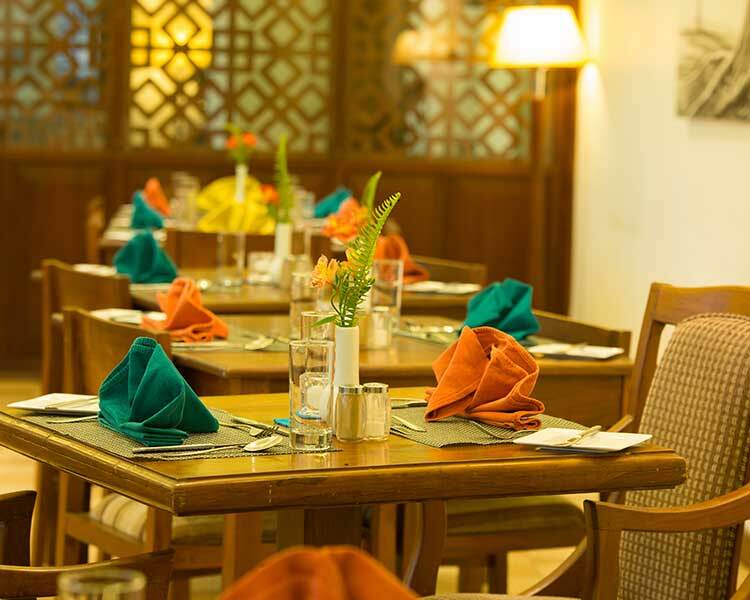 If it is a light meal that you yearn, look towards to the Kanchana Lounge. Here you can munch on sandwiches, salads, potato chips while being entertained by local entertainment acts. Displaying a wide range of wines and spirits, the Kachchan Bar is where you can have a stiff drink or a punchy cocktail. 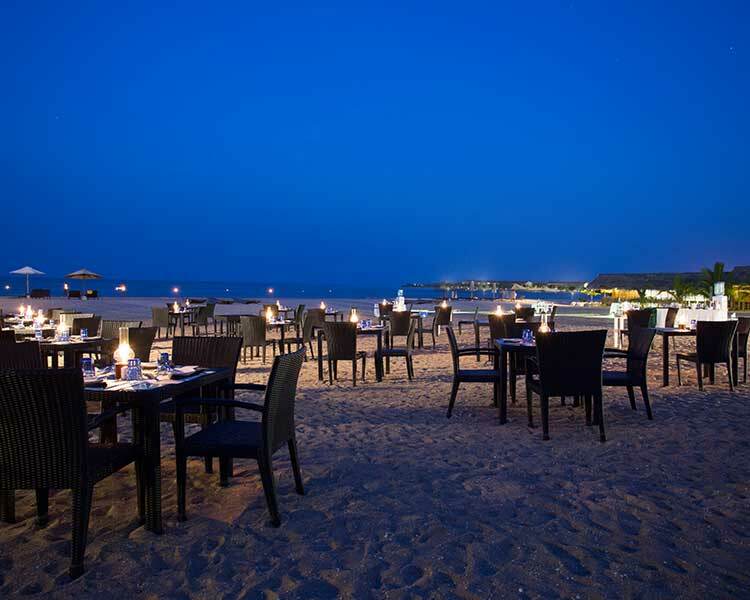 Overlooking the infinite pool, the chic café Kachchan is known to serve a refreshing cup of Coffee or Tea. 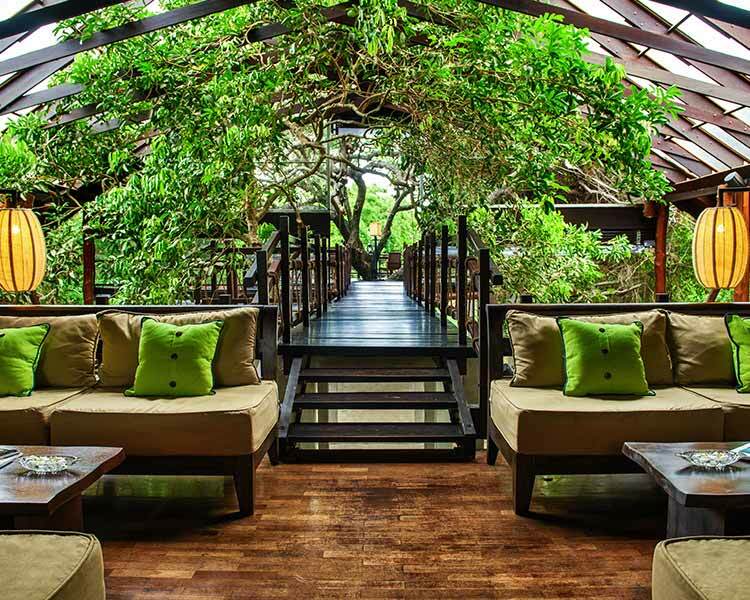 Private dining at Heritance Kandalama is a very tailormade affair. Designing your experience according to your very instructions, meals can be enjoyed in the ultimate intimacy. There are also exclusive dining options from Champagne Breakfasts to Cave Dinner the choices are endless. If you are looking for an exceptional spot to host a corporate event, the Kathikawa Conference Centre at the Heritance Kandalama. Capable of hosting up to 350 guests, the centre can be extended to a wooden deck to host cocktails. For meetings, presentations and lunches, the hotel also reserves five meeting rooms. 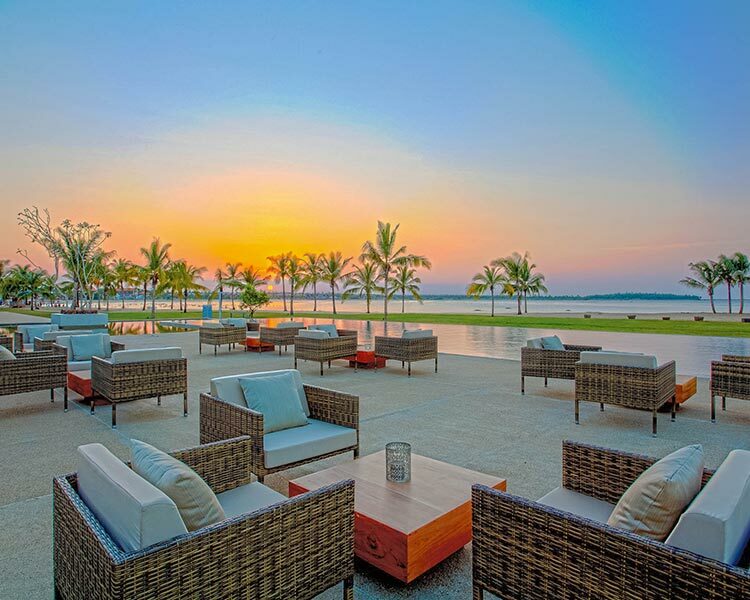 Couples seeking to celebrate the most important day of their lives at Dambulla Hotel, should consider the Heritance Kandalama. The Kasyapa Room poised in direct proximity of the lake provides for an enchanting setting. Rejuvenate your entire being here at Heritance Kandalama. The Sixth Senses Spa at the hotel is one of the foremost spa’s in the region. Offering a wide range of treatments including selected treatments for kids, the spa is geared with Balinese therapists. The menu includes both local and international therapies. Enhance your holistic journey further by engaging in session of yoga or meditation. The hotel hosts internationally acclaimed visiting yoga instructors. A centre for a number of leisure activities, the Heritance Kandalama provides to be the ideal base for the adventurous traveller. You can take night hikes to boat trips, and even a cycling excursion to explore your surroundings. A trek to the Kandalama Rock or a visit to the historical Aligala Caves have been a popular choice of the resident day tripper. For the avid history lover staying at the hotel can conveniently discover landmark heritage sites such Anuradhapura, Polonnaruwa, and Sigiriya. 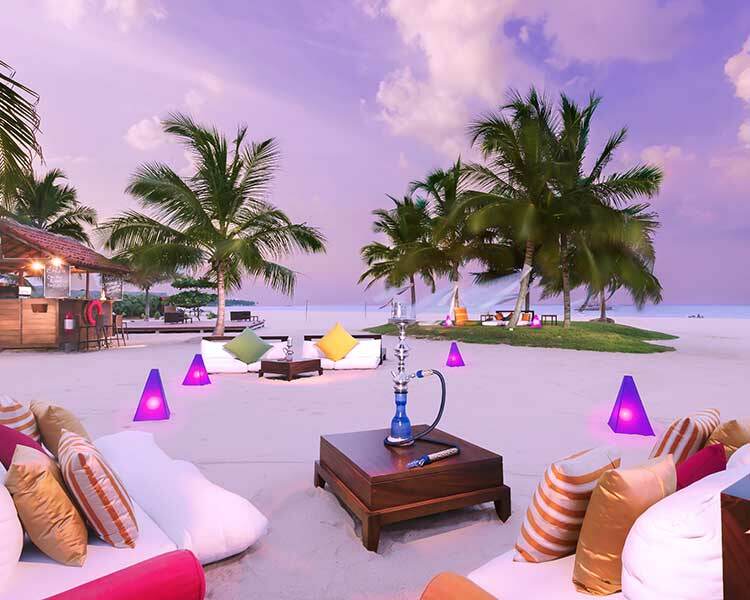 Best described as a luxurious sanctuary, Heritance Kandalama encompasses an unparalleled placid grandeur.